FinalBuilder supports the "File Compare" and "Folder Compare" functionality of Araxis Merge, which is a third-party product produced by Araxis Software. Both the Araxis File Compare & Araxis Folder Compare actions use the preferences set inside the Araxis Merge application to determine comparison options. 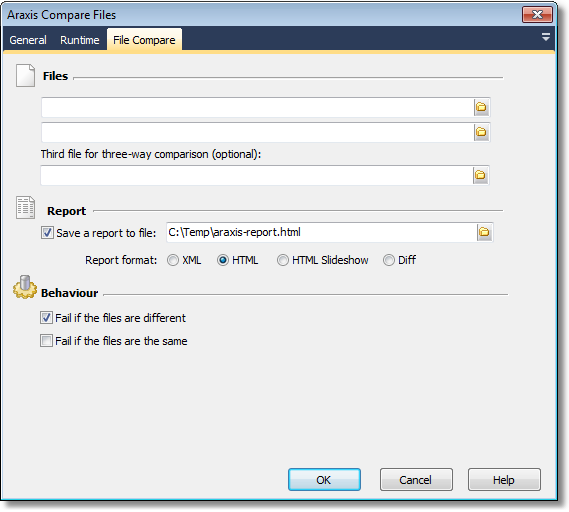 Araxis Merge can compare either two or three files, generating a two- or three-way comparison report. Araxis Merge can optionally save a comparison report in XML, HTML or Diff format. See the Araxis Merge documentation for details on each format. NB: Comparing folders with large contents can take a long time to complete. Specify two or three folders to compare. 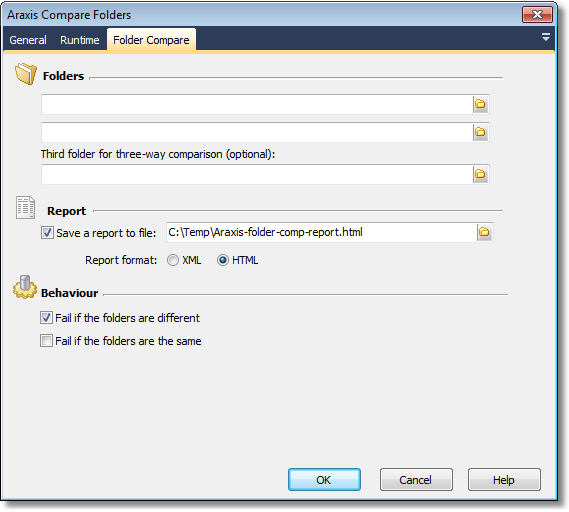 Similarly to the Araxis Compare Files action, Araxis Compare Folders can save a comparison report. Available report formats are HTML or XML.